"Descri^ao, ecologia e conservado de um novo Scytalopus (Rhinocryptidae) do sul do Brasil, com comentarios sobre a morfologia da familia." Ararajuba 6 (1998): 3-36. Bornschein, M. R., M. Pichorim, and B. L. Reinert. "Novos registros de Scytalopus iraiensis." Nattereria 2 (2001): 29-33. Brooks, T. M., et al. "New information on nine birds from Paraguay." Ornitología Neotropical 6 (1995): 129-134. Buckley, P. A, et al, eds. "Neotropical ornithology." Orn. Monogr. 36 (1985). Bullock, D. S. "Las aves de la Isla de la Mocha." Revista Chilena de Historia Natural 39 (1935): 232-253. Chesser, R. T. "Molecular systematics of the Rhinocryptid genus Pteroptochos." Condor 101 (1999): 439-446. Correa, A., et al. "La dieta del chucao (Scelorchilus rubecula), un Passeriforme terrícola endémico del bosque templado húmedo de Sudamérica austral." Rev Chilena Hist Nat 63 (1990): 197-202. Heimerdinger, M. A., and P. L. Ames. "" Peabody Museum of Natural History Bulletin 105 (1967). Howell, S. N. G., and S. Webb. "Species status of the chestnut-throated huet-huet Pteroptochos castaneus." Bulletin of the British Ornithology Club 115 (1995): 175-177. Mezquida, E. T. "Aspects of the breeding biology of the crested gallito." Wilson Bulletin 104 (2001): 104-108. Navas, J.R., and N.A. Bó. "Aportes al conocimiento de la distribución, la cria y el peso de aves de las provincias de Mendoza Y San Juan, Rep. Argentina. 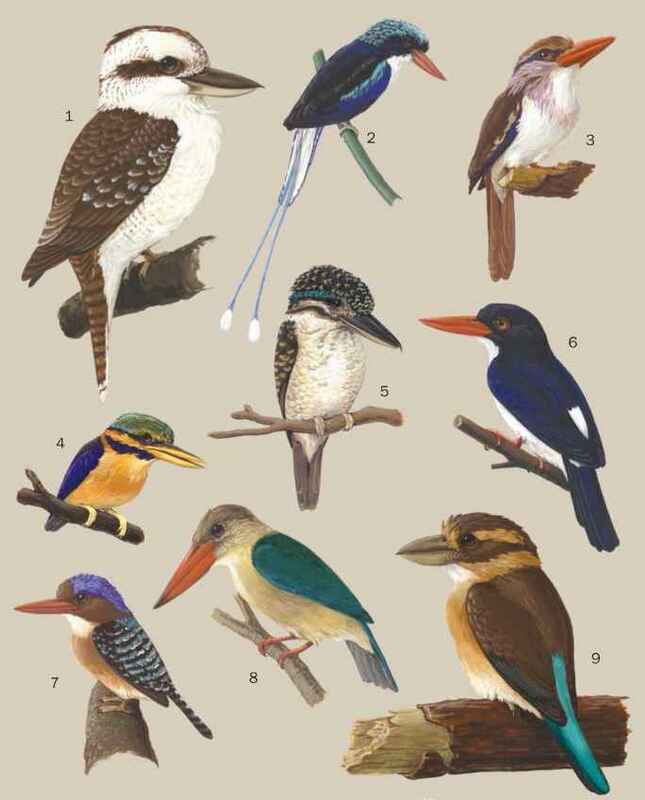 Segunda parte (Aves: Falconidae, Scolopacidae, Thinocoridae, Columbidae, Psittacidae, Strigidae, Caprimulgidae, Apodidae, Furnaridae, Rhinocriptidae y Tyrannidae)." Hornero 16 (2001): 31-37. Olalla, A. M. "Notas de campo. Observaciones biologicas." Revista do Museu Paulista 223 (1937): 281-297. Pearman, M. "Some range extensions and five species new to Colombia, with notes on some scarce or little known species." Bulletin of the British Ornithology Club 113 (1993): 66-75. Pearman, M. "Notes on a population of chestnut-throated huet-huet Pteroptochos castaneus in Neuquen Province: A new Rhinocryptid for Argentina." Hornero 15 (2000): 145-150. Rosenberg, G. H. "The nest of the rusty-belted tapaculo (Liosceles thoracicus)." Condor 88 (1986): 98. Short, L. L. "Observations on three sympatric species of tapaculos (Rhinocryptidae) in Argentina." Ibis 111 (1969): 239-240. Sick, H. "Zur Kenntnis von Ramphocaenus (Sylviidae) und Psilorhamphus (Formicariidae)." Bonn Zool Beitr 5 (1954): 179-190. Sick, H. "Zur Systematik und Biologie der Bürzelstelzer (Rhinocryptidae), speziell Brasiliens." Journ. Orn. 101 (1960): 141-174. Sieving, K E., M. F. Willson, and T. L. De Santo. "Habitat barriers to movement of understory birds in fragmented south-temperate rainforest." Auk 113 (1996): 944-949. Sieving, K. E., M. F. Willson, and T. L. De Santo. "Defining corridor functions for endemic birds in fragmented south-temperate rainforest." Conservation Biology 14 (2000): 1120-1132. Stiles, E. W. "Nest and eggs of the white-browed tapaculo (Scytalopus superciliaris)." Condor 81 (1979): 208. Vielliard, J. M. E. "Estudo bioacustico das aves do Brasil: o genero Scytalopus." Ararajuba 1 (1990): 5-18. Wege, D. C. "Threatened birds of the Darien highlands, Panama: A reassessment." Bird Conservation International 6 (1996): 175-179. "Distributional and other noteworthy records for some Bolivian birds." Bulletin of the British Ornithology Club 114 (1994): 149-162. Willson, M. F., T. L. De Santo, C. Sabag, and J. J. Armesto. "Avian communities in fragmented south temperate rainforest in Chile." Conservation Biology 8 (1994): 508-520.
Zimmer, J. T. "Studies of Peruvian birds. 32." Amer Mus Novit 1044 (1939): 18 pp.